Miley Chester was the first to mail her letter to Santa Claus. 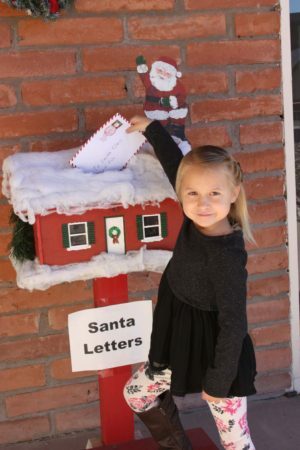 Miley Chester was first this year to mail her holiday wishes to Santa Claus. Miley is the daughter of Mark and Brandy Chester of Kearny and attends school at Ray Primary School. Copper Basin children can mail their wishes to Santa in the two special mailboxes in the area: at the Hayden Library and in front of the Copper Basin News office in Kearny. Santa has also set up a special email address if you want to send your wishes to him electronically. 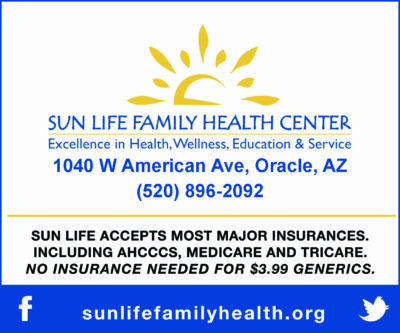 The email address is santa@minersunbasin.com. This year, Mr. Claus has given us permission to accept letters through our Facebook page (www.Facebook.com/CopperArea). Just send us a message (PM) with your child’s letter to Santa. Please be sure to include the town where you live so we can publish it in the right newspaper. Hurry and get your letters in quickly so they can be forwarded to the North Pole in plenty of time for the big day. The deadline to mail letters in Santa’s special mailbox is Dec. 14. Santa needs time to get all the requests fulfilled. Letters will be published on Dec. 19.